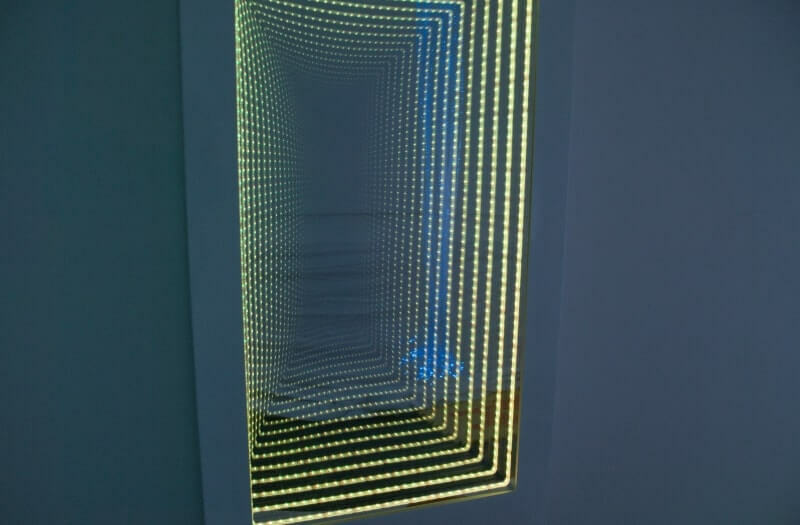 An infinite illusion of LED lights. 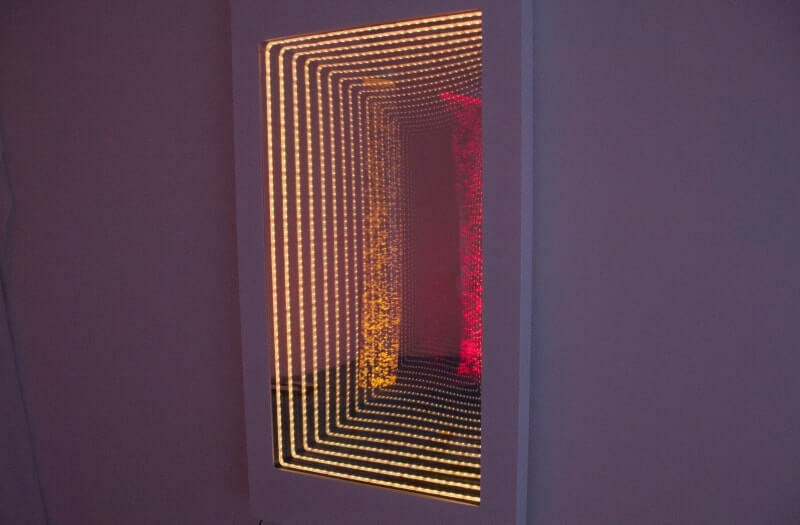 Create a stunning effect that will engage the user. 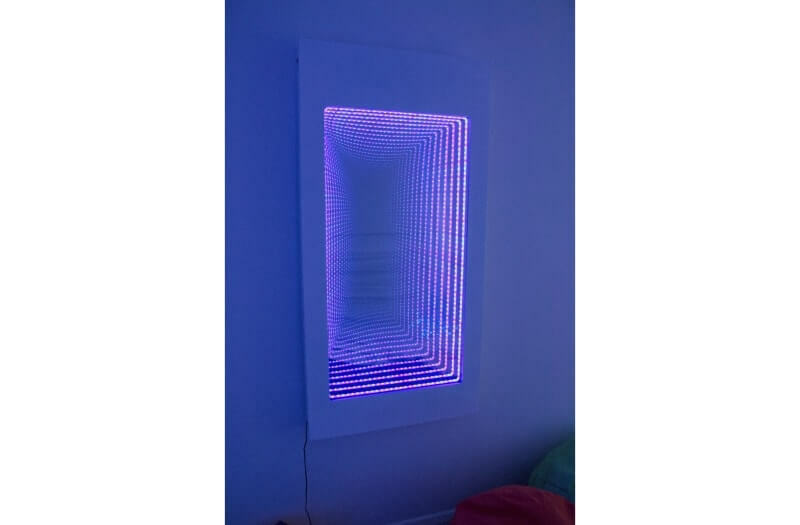 The Passive Infinity Wall Panel is fully self-contained and easy to set up. Simply mount the frame to your chosen wall, plug and play! 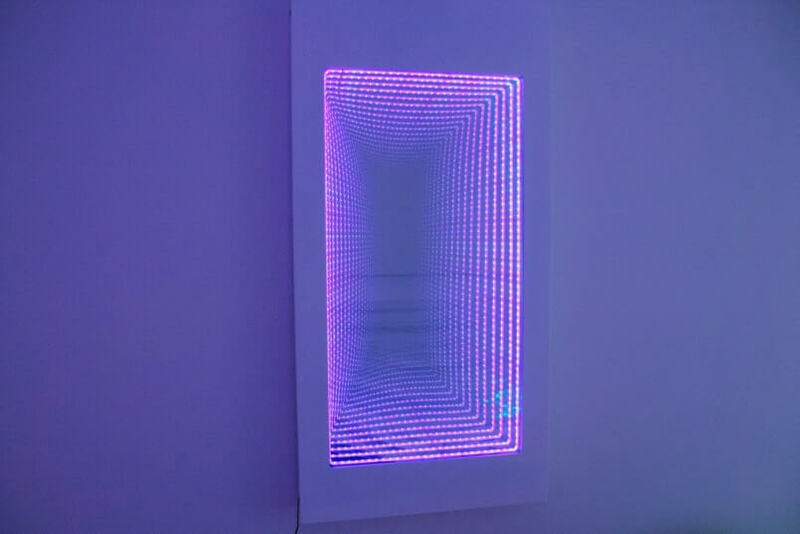 The Passive Infinity Wall Panel will cycle through different colours emitting from the inbuilt LED lights. The Passive Infinity Wall Panel is easy to install by placing the secure bracket on a suitable wall then simply hook on the panel. 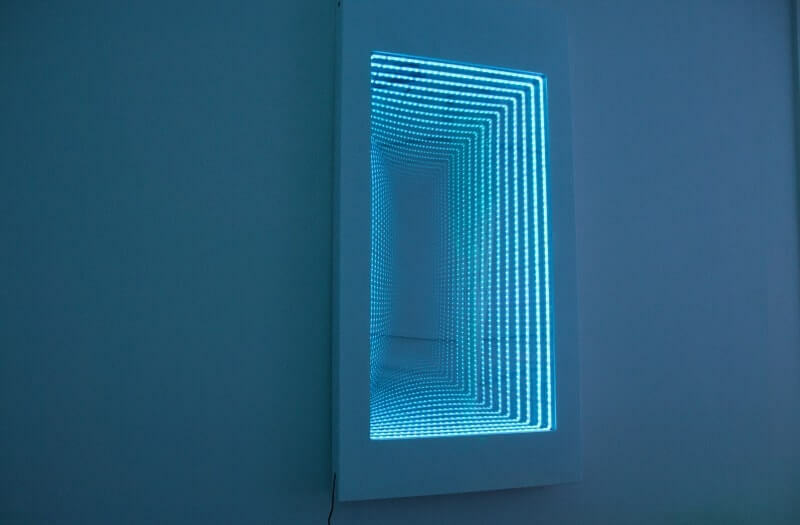 Its strong, sturdy and utilises wall space that would otherwise be a blank space. 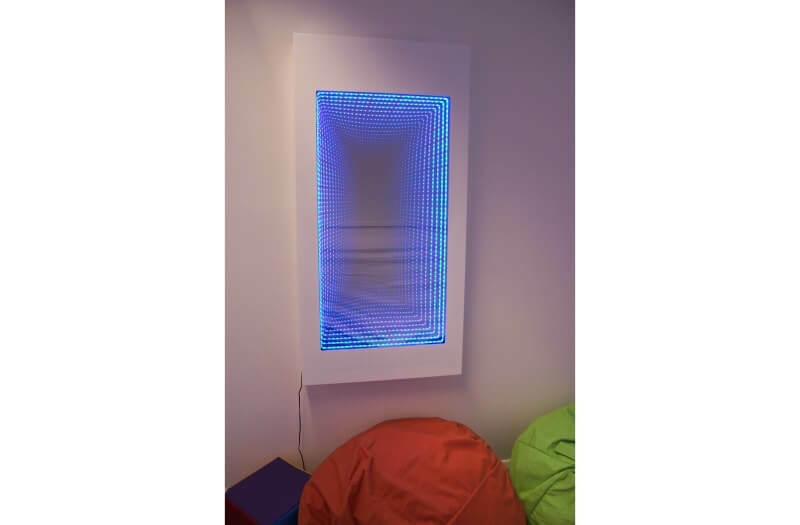 Low power consumption and no maintenance required makes this panel a must have in any sensory room.